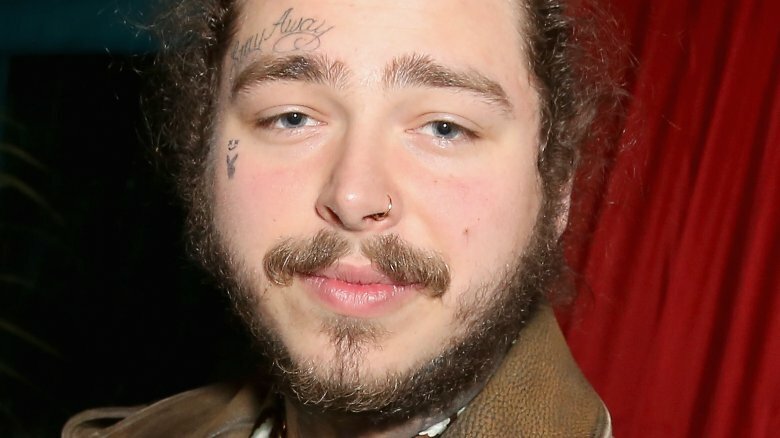 "Rockstar" rapper Post Malone's streak of bad luck has apparently continued, as he was reportedly the intended target of a home invasion. TMZ reports that three men broke into a home in California's San Fernando Valley on Sept. 1, 2018, and they were allegedly looking for Malone, who used to live there. One man is said to have shouted, "Where's Post Malone?!" According to the gossip rag, one of the home's current residents was pistol whipped during the incident. The three suspects then reportedly stole $20,000 worth of cash and valuables, including jewelry and cell phones. TMZ notes that police are investigating the possibility that the home invasion and robbery at Malone's former home is connected to another incident that occurred that same night, in which four "masked gunmen" entered a place where hip hop duo Rae Sremmurd were staying. The suspects reportedly stole an entire safe from the San Fernando Valley house. Though Malone (real name Austin Richard Post) was not present for the home invasion, given as how he's apparently moved, the incident does mark yet another rather unlucky moment for the rap star. As Nicki Swift previously reported, Malone's private jet was forced to make an emergency landing on Aug. 21, 2018, after two of the Gulfstream IV plane's tires blew after takeoff. Fortunately, Malone's plane was ultimately able to land safely. But then on Sept. 7, Malone was involved in another terrifying accident, when a Kia crashed into his Rolls Royce in West Hollywood, Calif. No one was injured in the accident, but Malone's expensive car was pretty badly banged up and had to be towed away (via People). Following the car crash, Malone, who is clearly aware of his personal series of unfortunate events, tweeted out, "God must hate me lol." Speaking to TMZ, he also said, "First, almost a plane. Then, almost a car. … Can't f**king kill me, motherf***ers." With three horrible events all occurring over the past few weeks, let's hope that Malone's bad luck is finally over — and that those home invaders are caught by the police!